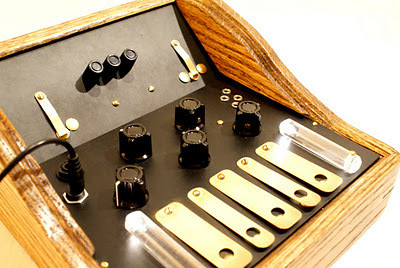 The Elysian is capable of everything the other drum scapes are - with exactly the same oscillators and delay, but Voltage Control (1/8" CV) has been added to integrate into other analog systems/cv sequencers. 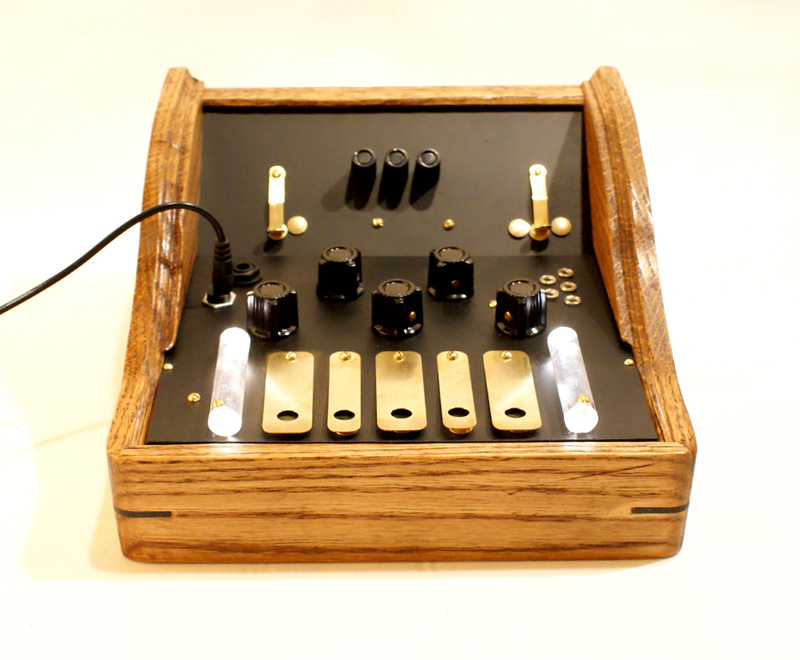 Control over the oscillators as well as the delay time. 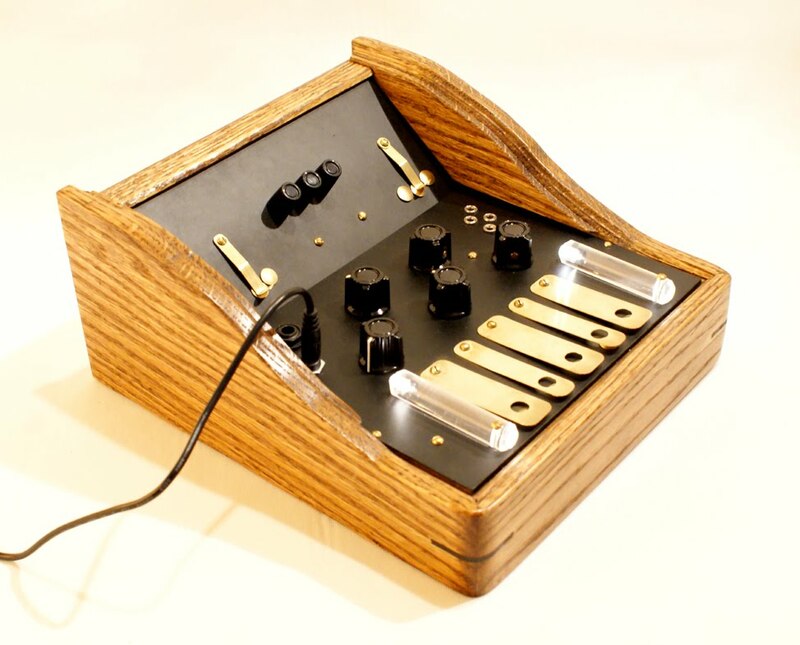 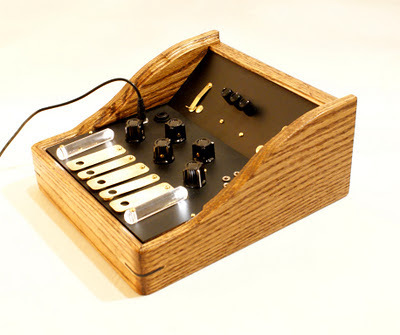 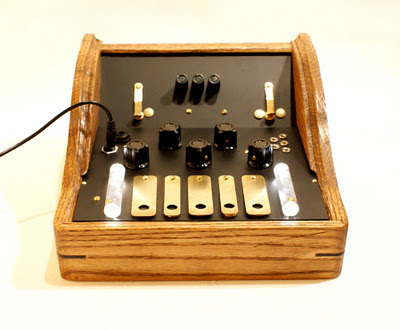 The boxes are oak, the lamps glow white, 1/4" output jack, 5x 1/8" cv jacks, control over delay time (from extremely notated tight to about 1.5 seconds with near infinite repeat for loops), control over each of the oscillators with custom brass keys for each, 2 custom lamps glow warm white, custom switches for delay time and drum mode (3 modes).